Senior Marathon Training Program: What does that mean? Is the schedule below designed only for older runners? Not necessarily, although if you have been running marathons for a number of years, you may have been searching for a program with relatively low mileage and less of a time commitment that will allow you to continue to race 26-milers without getting burned out. Same if you’ve followed my Novice schedule before and are looking for some variation–particularly a program that will allow you time do some cross-training. If you’re a Clydesdale, you also may have come to the conclusion that high-mileage weeks raise the risk of injury too much. You need more rest time. Finally, if you like to run a lot of marathons a year (and it’s up to you to define “a lot”), you realize it’s impossible to fit more than a couple of 18-week build-ups into your schedule and still have time for recovery between. If any of the above describes you, this Senior Marathon Training Program may be just what you need. It features only three days running a week–but you get to run a fair amount of distance on each of those days. It features two days of rest a week–and you need your rest, since all of the long runs on the weekend are 12 miles or more. It features two days that you can use for stretching and strength training or maybe some cycling and swimming, if that’s your fancy. You need that too, because you enjoy exercising, even if you’ve discovered that three days a week running is more than enough to keep you in shape. Finally, the week numbers are backwards compared to most of my other training program. There’s a countdown from Week 8 to Week 1 instead of the reverse. Monday: This is always a good day of the week to rest, particularly if you ran long over the weekend. All of the Mondays in the schedule below are designed as days of rest, but if you want to do some extra stretching and strengthening today, be my guest. Tuesday: Modifying a term that I use in my other marathon training programs, let’s call this our Sorta-Short Day. You’re still recovering from your weekend long run, so don’t go too far. 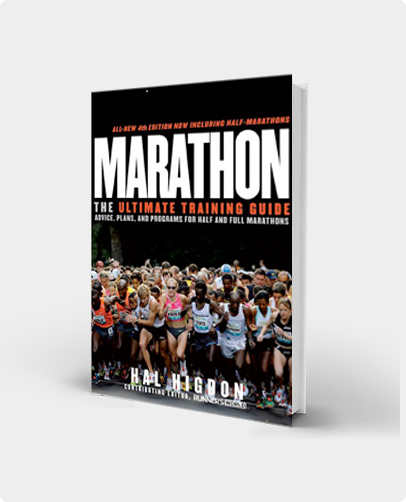 I suggest that in Weeks 8, 6, 4 and 2, you run 4 miles at your marathon pace–or faster. In other words, run short but at a good speed, and I’m not going to define what is a good speed. You being an experienced runner should know how fast you want to run, or if you want to run fast at all. In Weeks 7, 5, 3 and 1, run 6 miles but at a comfortable pace, one during which you can converse easily with a training partner if you desire. Or not converse if you’re a Boring Individual. Wednesday: Today’s workout is Stretch & Strengthen, because that again is a term I’ve used frequently in other training programs to designate semi-rest days on which you do some alternate training, but not too much. In honesty, I don’t care what you do today as long as it is not running. If you want to run more than three days a week, you should have chosen another program. Cross-training is an option today too: cycling, swimming, even walking. Or some combination of that with work in the gym. Thursday: This is your Sorta-Long Day, balancing the Sorta-Short Day on Tuesdays. The mileage varies from 6 to 8 miles most weeks with a single 10-miler thrown into the middle of the program just to prove you can do it. Running these Sorta-Long Runs at an easy, conversational pace makes the most sense to me. 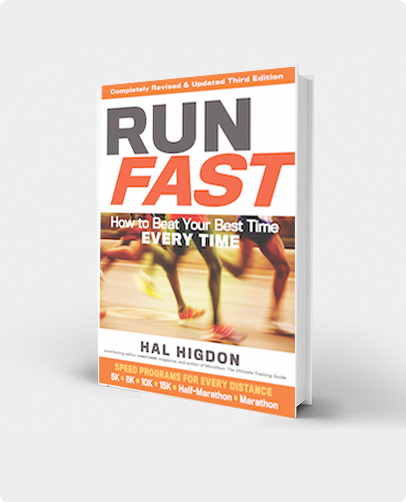 However, if you feel you need some extra fast running, consider converting the 6-miler in Weeks 7, 5 and 3 into a “3/1 run,” a term I use in many of my intermediate and advanced training programs. 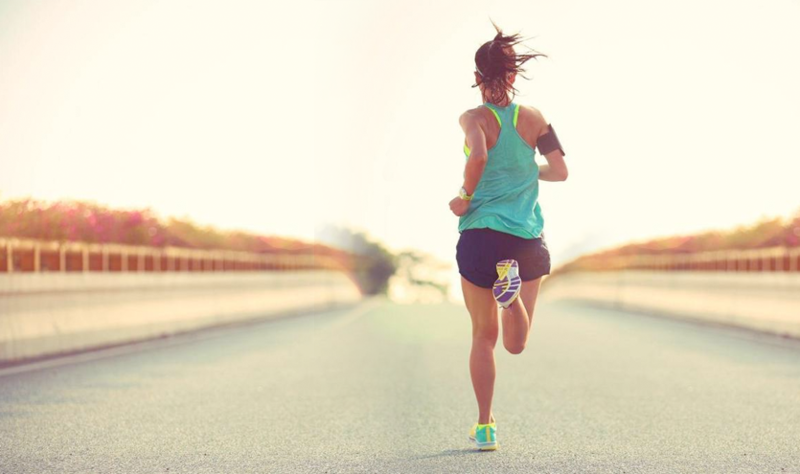 Run the first three-fourths of the run (4.5 miles) at a comfortable pace, then finish the final fourth of the distance (1.5 miles) at an up tempo. You don’t need to sprint in; just run somewhat faster. Friday: Another Stretch & Strengthen day. Do something similar to the workout prescribed for Wednesdays. This might mean that if you cycled or swam on Wednesday, you might want to walk today or simply spend your time in the gym hopping from machine to machine. I’m not going to tell you everything to do. You’re a Big Boy–or Big Girl. Saturday: This is your second Rest day. With a long run planned for each weekend, you want to make sure you have plenty of time to rest both before and after. In this schedule, I’ve prescribed doing your long runs on Sunday, because that’s a popular day for experienced runners. If you would rather run long today, that’s okay. In fact, feel free to juggle all the workouts to suit your particular lifestyle. And you don’t need to always run the same three days all eight weeks of the program. Just maintain the regular pattern, and you’ll be okay. Sunday: Run long. Today you do your Long Run, and you’ll notice that the build-up in this Senior program goes from 12 to 20 miles, not the 6 to 20 miles in my 18-week Novice programs. That’s because you’re an experienced runner. You train regularly 52 weeks of the year and never get out of shape, so doing a 12-miler is no big deal. I’ve prescribed that distance for Weeks 8, 6, 4 and 2 with longer runs Weeks 7, 5 and 3 leading up to the marathon in Week 1. Only one 20-miler? Do you really want to run more than one? Do so in the odd-numbered weeks. Important: Do all of your long runs slower than your marathon pace. Don’t overtrain! Racing: As an experienced runner, you probably enjoy going to the starting line more than two or three times a year. If you want a race to test your fitness and give you an idea of what to expect in the marathon, Week 4 might be a good time for a somewhat long race of anywhere from 15-K to a half marathon. And if you want a shorter speed test, you could fit in a 5-K or a 10-K in Week 6 in place of the 12-miler that weekend. Don’t worry about doing fewer miles. If you were interested in logging miles in your training diary, you would have selected a different training schedule. Speedwork: I enjoy doing speedwork, and so do a lot of experienced runners. I’m trying to keep this program simple, so I’m not going to prescribe tempo runs, hill repeats or interval training as I do in several of my other programs. If you want to do speedwork, choose your own brand of poison. Tuesday would be a good day for this type of training, because I’d like you going long and sorta-long on the other two days of the week. If your club has a regular day for speed workouts where everybody meets at the track, juggle the schedule to accommodate what’s available locally. Taper: Given the fact that I’m asking you to do a 20-miler at the end of Week 3, that allows you only two weeks to taper before the race. Don’t you need a three-week taper period? Oh, come on! You’ve been around long enough to know that two is probably plenty. It’s not that I’m beating you over the head with high mileage. You’ll do fine in the marathon tapering two weeks, but notice also that the final week before the marathon features only a single, easy run of 6 miles, then mostly rest. Do you have more than eight weeks before your marathon? Do you have less? If the former, you can modify the program by either repeating weeks or adding weeks up front with slightly lower mileage. If the latter, do your countback from Week 1, and improvise. This Senior Marathon Training Program is for experienced runners, and I trust you to make the right choices. Just follow the pattern I’ve laid out for you, and you’ll be okay. Be aware, also, that I have two other programs that feature three days of running. HM3 is for half marathoners; Marathon 3 is for marathoners. Both are available in interactive formats from TrainingPeaks. Used this to get in 10 weeks of training between the San Francisco Marathon and the Twin Cities Marathon. Time went from 4:56 for San Francisco to 4:23 for Minneapolis. Will no doubt use it again between Napa Valley and the marathon I run next June. Highly recommended! Hal is an amazing online coach. I’m a 75 year old female who just completed a half-marathon. I used this schedule and reduced most of the running times by half. It work great and I did better than I had hoped. This training made it easy for me to juggle work, training and family.